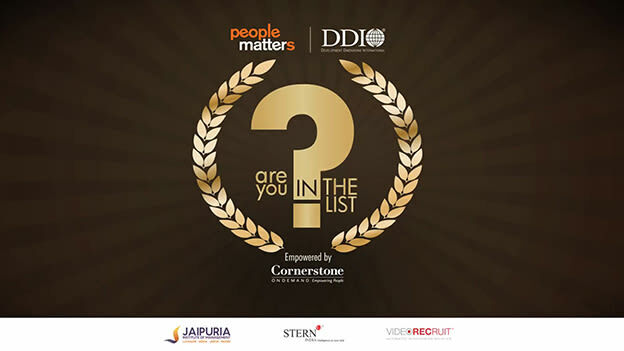 After we announced the winners of the third Are you in the List Awards in January, tweets and blogs went around referring to this list as “the list to recruit from in HR”. I think that is a myopic way to look at what awards and recognition do to employees’ pride, loyalty and retention. I rather see it as “the list to retain in HR”. But it is not what others say or what I say that matters but what the data says: 66 per cent of the winners are still working in the same companies, 87 per cent of those claim that they play a much larger role than before the award and 52 per cent have actually been promoted within the company. What is interesting about the data is that there is a much larger section of candidates in this group that were nominated by their managers. My conclusion: Nurturing and recognizing talent always pay off and these companies know it. Their CEOs and CHROs take pride in having great individuals in their teams. They invest in developing these individuals and do not fear recognizing them in public. In turn, they are able to retain their talent. Become a best employer and an aspirational brand for the best HR talent.